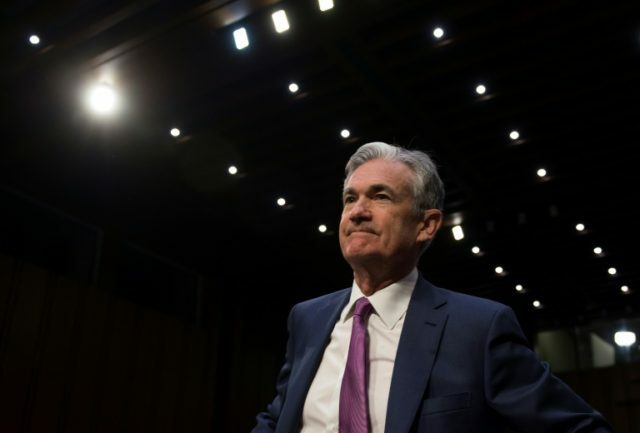 Federal Reserve Chairman Jerome Powell said Wednesday that interest rates are “just below” the level that would be neutral for the economy, a retreat from his position in early October when he described monetary policy as “a long way” from neutral. “Interest rates are still low by historical standards, and they remain just below the broad range of estimates of the level that would be neutral for the economy — that is, neither speeding up nor slowing down growth,” Powell said in a speech to the Economic Club of New York. Powell’s speech was highly anticipated and closely watched for signals about whether the Fed would continue raising rates as much as indicated in September and October. Some economic data since then has come in weaker than expected, particularly in the interest-rate sensitive housing and auto markets. Fear that the Fed could overshoot on interest rates and push the economy into a recession has been rising in recent weeks. The stock market has been roiled by worries about growth, with several major indexes entering correction territory, defined as a decline of 10 percent from recent highs. In his speech, Powell appeared to be attempting to soothe those worries by pointing out that the Fed is closely monitoring the economy. Powell also acknowledged the risk of that the Fed could be overly-aggressive. “We know that moving too fast would risk shortening the expansion,” he said. “We also know that moving too slowly–keeping interest rates too low for too long–could risk other distortions in the form of higher inflation or destabilizing financial imbalances. Our path of gradual increases has been designed to balance these two risks, both of which we must take seriously. The recent stock market sell-off followed chairman’s statement in early October that the Fed was “a long way” from neutral. Interest rates have not risen since the October remarks. Yields on both two-year and ten-year Treasuries are actually below levels seen in early October. The Fed’s benchmark overnight target rate has not changed since its September meeting. So the move from being ‘far from neutral” to “just below” is in Powell’s assessment in economic conditions rather than any move in interest rates. Powell has also come in for criticism from President Donald Trump. “So far, I’m not even a little bit happy with my selection of Jay. Not even a little bit. And I’m not blaming anybody, but I’m just telling you I think that the Fed is way off-base with what they’re doing,” Trump said in an interview with the Washington Post this week. Wednesday’s speech appeared to indicate that the Fed chair’s view of rates has moved closer to President Trump’s over the past few months. The Fed is still expected to raise rates again in December but Powell’s remarks are likely to be read as supporting the increasingly popular idea that next year the Fed will only hike one or two times, down from the central bank’s earlier forecast of three or four hikes next year. Powell sees the global slowdown and knows that it could hurt us. Powell is concerned and knows when he does one he has to wait– very big change in view.